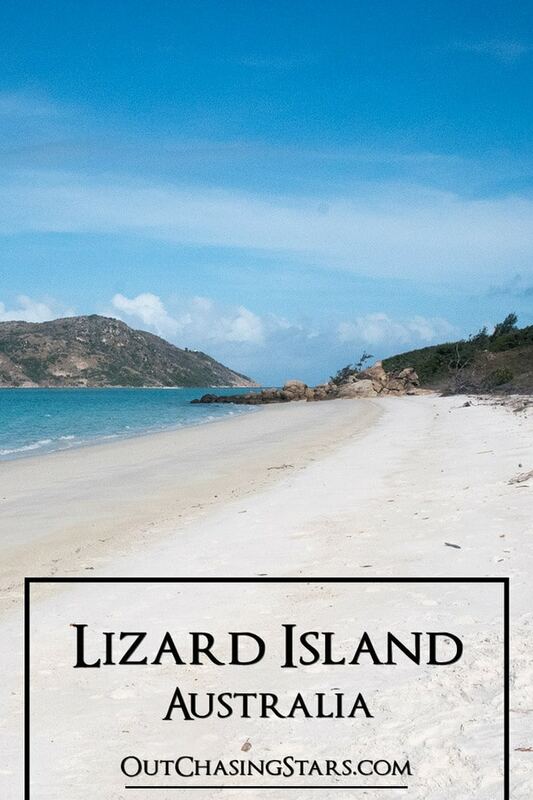 Lizard Island is a national park off the coast of eastern Austalia – about 160 miles north of Cairns. It’s small and remote, with only two options to overnight. It’s visited by the rich and famous at the Lizard Island Resort, but also, by Queenslander boaters and yachties passing through. After 7 nights in Cairns for the start of the Wonderful Sail 2 Indonesia Rally, David and I took off for an overnight sail to Lizard Island. The winds in north Queensland during the winter are strong tradewinds, blowing 20-25 knots most of the time. We needed to sail slowly to leave Cairns in daylight and arrive at Lizard Island in daylight, so we left our main alone and just sailed using our genoa. We anchored on the north-west side of Lizard Island, in Watson’s Bay. Several rally boats were already here, including our friends Kimmi and Trevor from S/V Slow Flight. As fellow Americans, they were preparing a belated 4th of July party and invited us over. Also joining us were four Brits – Thom, a solo sailor from S/V Fathom, and the crew of Henrietta; Michael and his crew Joyce and Caroline. Trevor made some pretty amazing ribs and Kimmi made apple crisp! What a treat after an overnight sail. The next morning David and I set off for the Cooks Look. This very steep hike took up a little over an hour and 15 minutes. In 1770, Captain Cook, exasperated from trying to find a break in the reef to sail out of Australia’s barrier reef, climbed up to the top on a clear day to look for a pass. Following his footsteps, we hiked to the highest point to enjoy a spectacular view. Goanna lizards, the island’s namesake. The view over Watson’s Bay. Arriving at the first viewpoint. The panoramic view from Cooks Look. Signing the guestbook at the top. Starting the trek back down. The next day, we came to shore at 9 am to meet several of the other boats to hike over to the lagoon (Slow Flight, Henrietta, and Fathom). We’d coordinated over the VHF, and we were joined by Robin from S/V Second Wind, who ended up being invaluable to our group. Robin is retired and based out of Cookville, but they’ve been avid cruisers of the area. Leading the group, Robin took us from Watson’s Bay to the airstrip and then out to the main beach of the lagoon. Robin knew all the trails and even had some information for us about the island’s resort (the private villa is $6,000 a night!). Crossing a boardwalk on the trail. Lizard Island has a great trail system. The small Lizard Island airstrip. A rainbow bee-eater on the runway. We watched starfish moonwalk in the shallows. The gorgeous beach of the lagoon. That night David and I hosted the 10 of us from the hike, plus Robin’s partner and Carlos and Linda from Mirniy Okean (and 22 South), who we had met at the rally event. The nearby Lizard Island Resort is pretty hoity-toity and generally closed to cruisers, with the exception of the Marlin Bar, which welcomes cruisers three days a week (Monday, Wednesday, and Friday). David and I passed on going to the bar with our friends because we were leaving early the next morning. 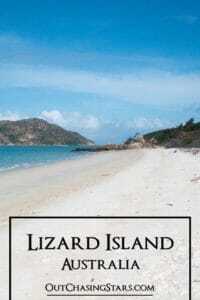 On Sunday Kimmi hailed the Lizard Island Research Station to see about possible tours. The station is open every day for a self-guided tour and information video. However, the station does offer guided tours. I think once they knew there were boats interested, they hailed “yachts in Watson Bay” to give us information about the available tours. 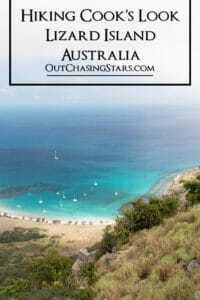 We’ve seen some pretty swanky places, and we didn’t personally go over to the resort grounds, but the minimum cost for a night at Lizard Island Resort is $2,000 AUD, which includes most food and beverage, but not transportation to the island. 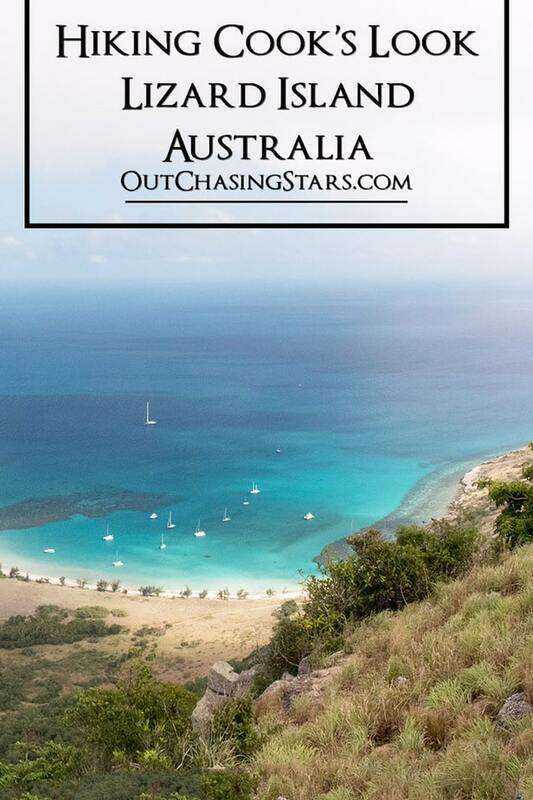 The only other option, aside from a private boat, is camping on Lizard Island. 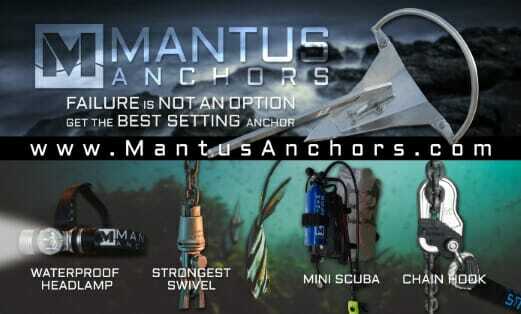 I would imagine that the camping is particularly for boats without liveaboard facilities because arriving at the island via plane is the only option that I can find. We left our friends behind as soon as the wind dropped to spend two nights sailing up to Thursday Island, our last destination in Australia. Looks like a pretty nice island. Loved the rainbow bird!